Möchten Sie am Cybernetics Lab forschen? Students from abroad who want to join the Cybernetics Lab for a doctorate at RWTH Aachen University have a new option started in 2017: the International Class. The new offer is directed at foreign students who can finance their living through a scholarship and want to use the opportunities offered by the research environment of the Cybernetics Lab and a doctoral thesis at the chair of mechanical engineering at RWTH Aachen University. The doctorate at a renowned German university is a unique career opportunity for international candidates. Likewise, the Cybernetics Lab also benefits from this model: The project-independent nature of the scholarship holders makes it possible to also investigate topics "off the beaten tracks", thereby increasing the spectrum of the research questions. The organization as an International Class enables systematic career support through specific offers, such as information on research at Cybernetics Lab, the research situation in Germany or personal integration. This includes especially the participation in German courses. 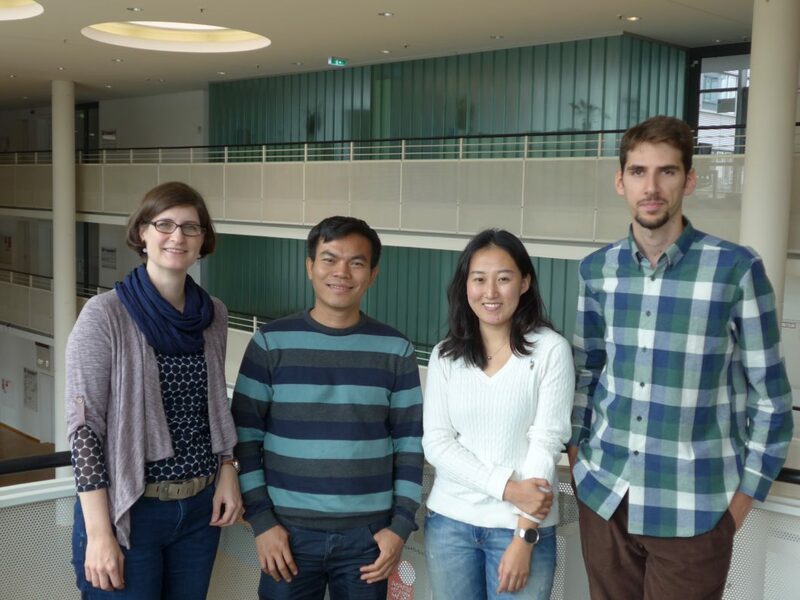 In addition, our doctoral students are supervised by the Welcome Center of RWTH Aachen University. Please link to more information about promotion at RWTH Aachen University. You will join one of the research institutes and develop a research schedule with your supervisors. The Cybernetics Lab provides an office workspace and access to required research equipment as machines, robots e.g.. Please note that we cannot offer a working position or salary. Students are responsible for enrolment at university, keeping track of study requirements and organization of their daily life (e.g. finding a place to stay). You need a Master or Diploma degree in a relevant subject recognized by RWTH Aachen University to be eligible for doctorate studies. In addition, you need a fellowship to cover your expenses and stay in Germany for at least three years or the opportunity to apply to such a fellowship. Students without own financing cannot be included. Selection is based on excellent grades, skills, motivation and a research concept. The use of English as a working language is mandatory.